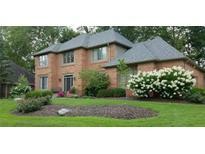 Below you can view all the homes for sale in the Oakland Hills At Geist subdivision located in Indianapolis Indiana. Listings in Oakland Hills At Geist are updated daily from data we receive from the Indianapolis multiple listing service. To learn more about any of these homes or to receive custom notifications when a new property is listed for sale in Oakland Hills At Geist, give us a call at 480-577-2304. Truly a solid complete home on a great street in Oakland Hills, don't miss it! MLS#21630543. ERA Real Estate Links. Entertain In Style On Awesome Deck With Gas Grill Overlooking Wooded Yard Filled W/Perennials. MLS#21630429. F.C. Tucker Company. Plus extra room for storage or exercise room. Front/Rear Sprinkler. MLS#21628459. F.C. Tucker Company. Or cozy up with a good book in your favorite comfy chair in your large master bedroom next to the window overlooking your wooded back yard! MLS#21629034. Keller Williams Indy Metro NE. Spectacular home which has been redone in just about every nook and cranny! MLS#21625748. eXp Realty, LLC. Spacious master bath offers huge jetted tub,double vanities and large California closets. MLS#21625870. RE/MAX Legends Group. Home is known as "The Hilton of Oakland Hills". MLS#21623774. F.C. Tucker Company. basement is awesome! Wd deck & paver patio w/fireplace. MLS#21619594. F.C. Tucker Company. Irrigation System, Fenced Yard, Paver Patio + Spacious Screened In Porch w/captivating Golf Course & Pond Views! MLS#21618875. Berkshire Hathaway Home. Windows galore offer light and stunning views. MLS#21617005. CENTURY 21 Scheetz. New Lennox high efficiency AC 2017 & 93% high efficiency Lennox furnace installed 2018, New carpet throughout. MLS#21613427. W.A. Milton. Home theater room. Come take a look! MLS#21576566. F.C. Tucker Company.